Quick post today on a polish i received in a secret swap. NailNation 3000 is a new-to-brand, and I have to say, I'm liking it so far. 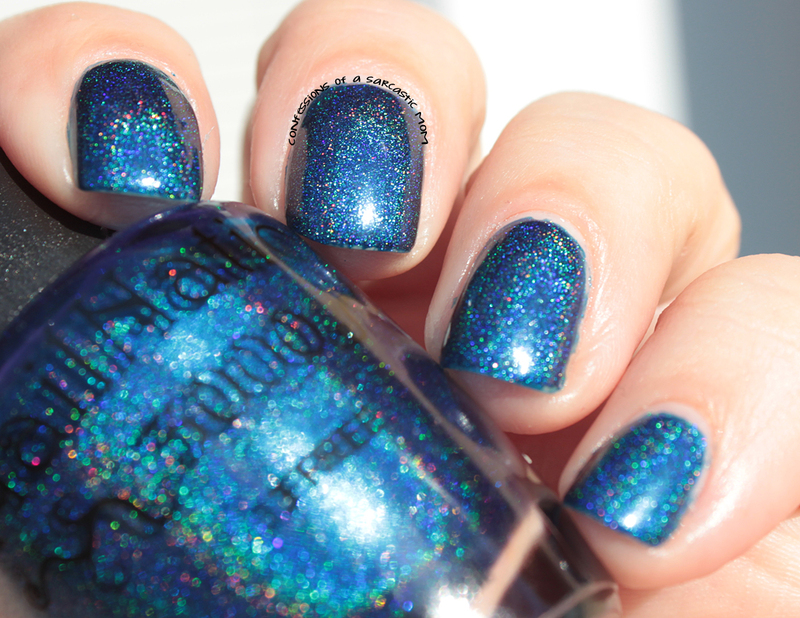 This polish, Head of the Family, is the most gorgeous deep blue holo! Look at it! It comes alive in the sun. Amazing. The formula is very nice. I always expect holos to be a little on the thin side, but this one wasn't. Coverage took two coats. I wore this for 2 days with regular old top coat before changing my polish. I didn't have any chips or anything, tho. Good wear time. I'm always a fan of darker holos, so this one was right up my alley. I'm so glad my secret swap partner sent this polish! Isn't the holo just stunning!? 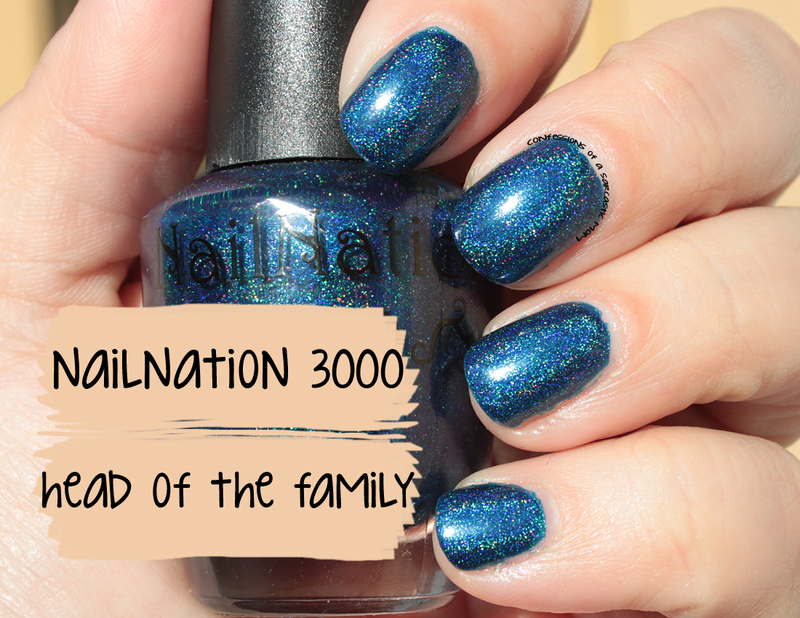 This is my first NailNation3000 polish, and I'm impressed! Do you have this polish? Or any others by this brand? And don't forget to enter my giveaway!